He was named by Hitler's former youth friend and Hitler forger Reinhold Hanisch in ca. 1935 as one of the customers of the young Hitlers. Hanisch named four; Altenberg was the first of them. 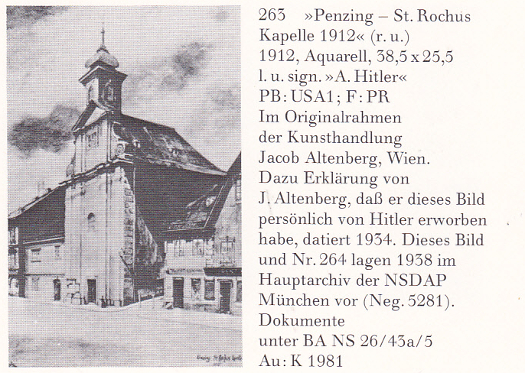 In 1936, as Austrian police investigated a case of forged Hitlers, they consulted Jacob Altenberg as a specialist on authentic Hitler paintings. The other frame makers named by Hanisch were the jewish Isidor or Josef Landsberger (both had a 'Vergolder'-store at the Favoritenstrasse), and Samuel Morgenstern (Liechtensteinstrasse 4) and the christian Johann Schiefer (Schönbrunnerstrasse 14a, V. Wien). Almost no 'Hitlers' in Price with Altenberg origins. 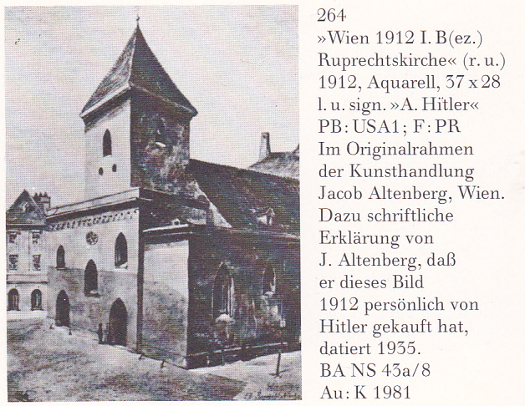 Considering all information from contemporary sources from Hitler's Viennese years as active watercolors painter (1910-1913), one can only conclude that Altenberg was Hitler's main customer. 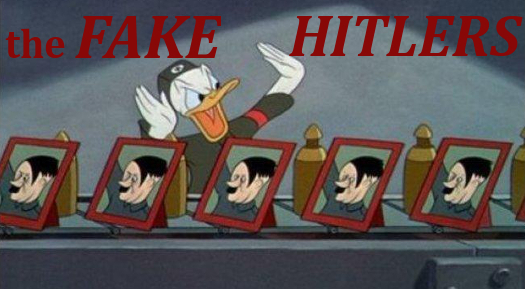 Altenberg himself stated that he had bought 25 Hitler paintings. Yet, in the Price book his name as origional owner is only mentioned twice. With these two works, Price-263 'Penzing - St. Rochus Kapelle 1912' and 'Price-264, 'Wien 1912 I. B(ez.) Ruprechtskirche 1912'. The question remains: why did the forgers emphasize on Samuel Morgenstern as main costumer of Hitler? Our theory is that they did so because Morgenstern and his family were exterminated. Altenberg had a surviving wife, daughter and son. Forgers don't like survivors: they are witnessses who could testify and spoil the forgers' businesses. Adolph Lehmann's Allgemeiner Wohnungs-Anzeiger 1859-1922 [-1942].